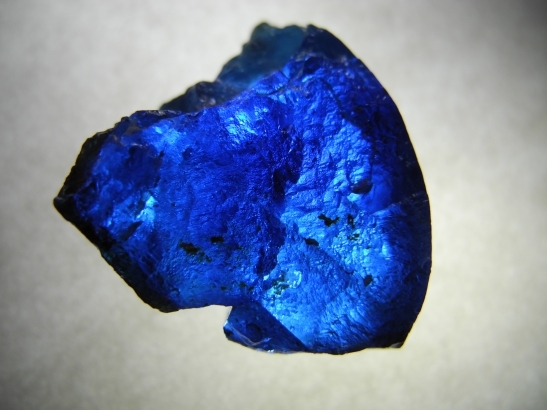 The blue color of the elbaite from Mt. Marie results from the presence of Fe2+ and the absence of Ti4+ coupled with a small amount of Fe3+. The green color results from Fe2+ (with little or no Fe3+) interacting with a small amount of Ti4+. Absorption spectrum: Graph of blue - 1 mm thick.